Global Center setups are on an upswing. What is really encouraging is the fundamental shift seen in the DNA of new GICs. These centers no longer focus only on scale and lift-and-shift of existing work from the HQ; rather, they are smaller and more focused entities, driving core engineering for products that are completely new to the organization. This marks a paradigm shift in the role of a GIC leader from delivery excellence to transformational leadership. So it’s only natural to start at the beginning, by delving into the key priorities of a GIC leader in the crucial first 100 days of a new center. 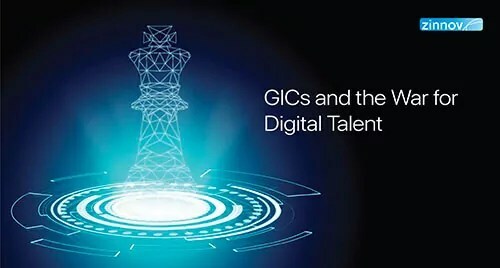 The pertinent question that all GIC leaders need to ask themselves in such a scenario – How should the foundation of the GIC be designed in order to ensure that the local site delivers on strategic business outcomes from its inception, rather than as a natural process of increased maturity and scale of operations over a period of time? This interview delves deeper into that question and provides insights from our discussion with Lithium Technologies India center head, Mr. Jay Bhow. Lithium is a Bay Area-based company, that has enabled global brands such as AT&T, Fitbit, Samsung, Airbnb, Sephora, etc., to digitally engage with their customers through online communities and build strong, trusted relationships. The India center is in its third year of operations, and in a relatively short time, has demonstrated that its local teams can truly own and deliver end-to-end world class products for global customers. Q: Tell us a bit about Lithium and your vision for the India center. Lithium’s core products are 100% SaaS (born in the cloud) and we manage ~500 million new digital interactions daily, with ~100 million monthly visitors. 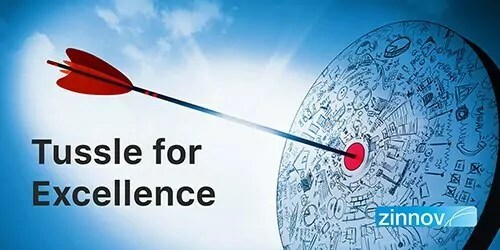 Hence, for us, 24×7 availability and managing scale of operations is paramount; we focus on providing a complete set of solutions for social customer engagement, along with deep analytics to ensure global brands can build strong customer relationships through a great digital experience. What we provide to our customers is cutting-edge, and for us at India center, it was imperative that we build something of lasting value. It started by first defining what we wanted and then we worked on how we would go about doing it. At Lithium India, we were very clear from the beginning that we would focus on solving the harder problems first. The most critical element of this was to get an endorsement at the CEO level, without which we knew we wouldn’t be able to make this vision a reality. Q: What were your key priorities in the first 100 days as the head of the India center? Build a best-in-class engineering team. This, for us, was table stakes; non-negotiable to begin with. Since we wanted to start with harder problems and show early success, it was imperative that we focus on building a great core team. We ensured that our engineers were no different than the ones in the Bay Area office. This process helped establish trust and confidence early on with HQ. Focus on world class operations. In the beginning, operations was more than just hiring the right talent; it was about providing our people high quality work from the start and building the right environment for them to work in. Our offices in Bangalore are no different than our offices anywhere else in the world. Also, for every 1 person we selected from a 100, we ensured that the contact with the other 99 mattered – we explained what we do at Lithium, our vision, and why someone should join Lithium. This has helped us build good karma in the local ecosystem through word of mouth, even from people we eventually didn’t hire! Build an equitable relationship from the start. Perception is everything; there is no SDC (San Francisco Development Center) or ADC (Austin Development Center), so why have an IDC (India Development Center)? And this equitable relationship had to reflect at every level. In the first 100 days, I had as many US calls in my daytime as in the night. We did not believe in functioning as a second-class citizen. Enable cross-pollination of people. In the first year of our operations, we hired only 50 people, but had 40 people come down from HQ. The intent was not only to conduct trainings for the India team, but to create a sense of purpose. It helped shape our thoughts on what value we are creating. E.g., we worked with the engineering leaders visiting from HQ to define the product roadmap. The head of HR worked in India to seed the right culture at the local site and advise us on all global processes that impact our employees’ experience. Additionally, the Senior Executive visits helped us realize the impact we bring to the business. 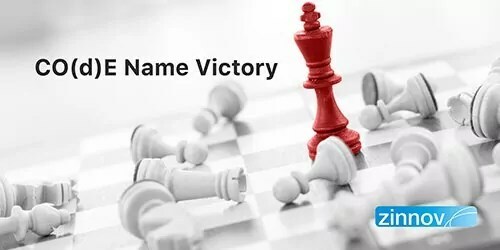 Finally, we focused on putting a leadership team in place and showing small though valuable product delivery wins to establish confidence at HQ. Q: What were some of the key measures you undertook to ensure that the foundation of the India center is designed to deliver on strategic business outcomes from its inception? As a site leader, I traveled to the US at least 2-3 times in the first 100 days to meet our teams in the HQ. This helped me gain a strong understanding of our customers, partners, and products. It also helped build a level of trust, which was instrumental to convince the HQ that the success of the India center depended on them working with us as equals as opposed to seeing it as a team that was 8000 miles away. A major part of my time was spent meeting with core business leaders to convince them that we had a one-time shot to impact change, and that we needed to make it count. We created a rock solid agenda for every C-level visit (create a vision of what portion of the business will be in India in 2-3 years), and ensured that it was outcome-driven (see things happening on the ground). This also helped us in creating strong advocates for the India center in HQ, which also played a key role in defining the strategic importance of the India site. Q: Did you face any setbacks during the growth phase? If so, what were some of the learnings from this experience? We had taken on a charter to set up a team to manage one of the social media platforms. It was a difficult project for us to begin with – required higher engagement with end customers and continuous touch points with a highly active online community. The design of the platform and the security requirements were complex. We had set up a brand new team, but soon realized that it would be challenging to drive it from here. So we had to shut it down, returned the budgets, and reassigned the people to other projects. That was a hard call but I think we learnt how to let go when it wasn’t working out. We also realized that it is important to have other support teams such as HR, Quality, etc., integrated with the core project teams, and is especially important when you have to take tough calls. Q: What are some of the key metrics that you were measured on in the first 100 days? How did these metrics evolve over time? Operationalizing the site, i.e., meeting compliance requirements, setting up in the SEZ, movement to permanent office, IT infra setup and security, etc. Kick-off key programs, i.e., our progress on the engineering roadmap, especially as we didn’t take anything from the US and everything was brand new. Measuring the results in isolation wasn’t enough to gauge the progress, we realized. We needed to focus on the behaviors of the leaders, the employees, the team dynamics as well. This is where seeding the right culture mattered. The report out to C-staff helped the HQ get more visibility on our progress, and also more importantly, partner with us in addressing any challenges that arose. However, as we scaled and started delivering on our goals, the report outs became less frequent, ultimately terminating them after 6-8 months. No other global center did a report out, and we were no different. Instead of report outs, we replaced it with more frequent and open communication, along with encouraging more meet-ups. Q: If you had a chance to do a few things differently today on what you did in the first 100 days, what would those areas be? a) I think we would focus on driving a product-led agenda vs. an engineering-led one. For any business, its customers need to be the starting point. But we probably hired our Product Managers a lot later than when we should have. We now have a healthy number of Product Managers; but hiring them early on, along with Head of Engineering and Quality, would have forced us to answer the questions of Why/What we are building, and then get into the “How”. b) Another area would have been to push for expat relocation for a period of 6 months to a year, to help us collaborate more strongly with HQ, tap into their domain expertise and global network, and also mentor and groom local leadership. c) As is common, we made our share of hiring mistakes. Initially, we were looking to get people from upcoming start-ups who were used to operating in a ‘crisis mode.’ However, when they joined, they had different expectations, which led to an expectation mismatch. We learnt from those mistakes and have changed the hiring profile that has ensured stability from year two onwards. However, one thing has been consistent – we never focused on attrition as a number – it is more important to focus on who we lose rather than worry about the numbers as a measure. Q: Where do you believe is Lithium India, in its journey? What’s next? We are mid-way in our journey. We are trying to build a deeper sense of ownership across our data platform, data engineering, and social intelligence teams. The Product Managers here are driving the roadmaps rather than being directed from HQ. However, we still need to establish strong customer centricity – the Indian customers are beginning to get more brand savvy, and we are seeing some opportunity here. We have also started taking POVs on globally relevant topics, e.g., on GDPR, and doing roadshows on the same for our teams in Europe. We need to think more holistically about the impact we create, and over the next few years, help influence the decision-making with strategic initiatives. We are banking on the superb capabilities of a very talented staff, and their impactful contribution is testimonial that we have a world-class team. This is indeed a great time to be working for Lithium Bangalore! What other factors should a GIC head be aware of in the crucial first 100 days of a new center? Learn all about it by writing in to info@zinnov.com. 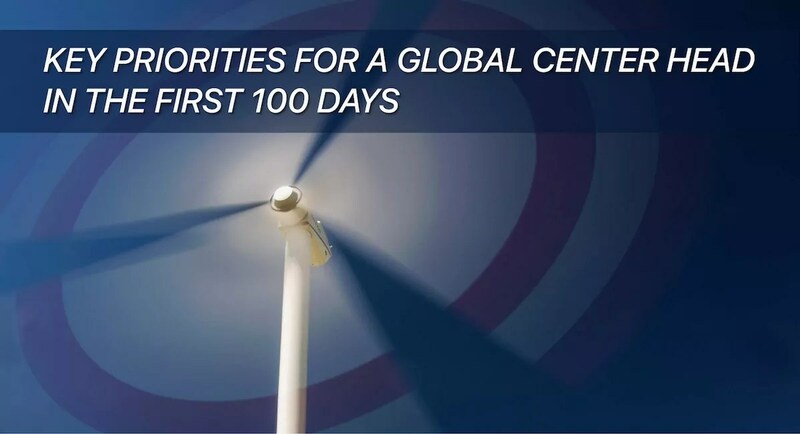 How crucial are the first 100 days of a new Global In-house Center for a Global Center Head? What can you learn from Lithium's Jay Bhow's journey so far?